Wildlife Watching at RSPB Ynys-hir Nature Reserve01654 700222work BirdwatchingThe RSPB Ynys-Hir nature reserve is wildlife haven in the heart of Mid Wales. Located within the UNESCO Dyfi Biosphere, Ynys-hir has miles of trails, 7 view hides and has been awarded Ramsar, Natura 2000 and SSSI status. In the spring, the ground is carpeted in flowers, The woods are covered in bluebells and birdsong fills the air. You might see flycatchers and redstarts emerging from the nestboxes. Summer brings wading birds, such as lapwings and redshanks, and some very special butterflies too. Then in the colder months, ducks and geese move in. Feast your eyes from any of the seven hides – look out for birds of prey. Then round off your visit with a snack at the visitors' centre, and a browse in our well-stocked shop. Please take care on the paths as some are rugged. 7 viewing hides. 3 different trail routes. Toilets, Visitor centre with light refreshments and exhibitions. Picnic areas. Binoculars to hire, family activity packs to hire. Non-RSPB members: £5 adult, £2.50 child and concessions, £10 family. Mon 1 Apr - Sun 30 Jun "Birds in Flight in a New Light"
By bicycle: (Sustrans cycle route) Route 8. By train: The nearest train station is Machynlleth (6 miles). Proceed by bus or taxi to the reserve from there. 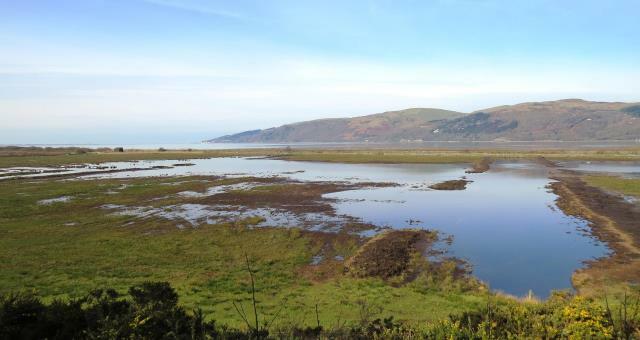 If you are coming by bike, it is possible to get a train to Dyfi Junction and cycle the 2 miles to the reserve. By bus: There is a regular bus service between Machynlleth and Aberystwyth that stops in Eglwys-fach (Service X28). 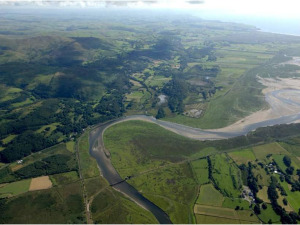 By road: The reserve is situated between Machynlleth and Aberystwyth. Turn off the A487 in the village of Eglwys-fach and proceed for one mile to the car park.